Training for new members is held each semester after the activities fair. Please stop by at the activities fair if you are interested in joining—members will be there to give you upcoming training dates, put you on our mailing list, and answer your questions in person. Prior experience with EMS is valued, and all members are encouraged to progress through the organization at their own pace. However, no matter what certifications you have, you MUST attend internal training and the practical skills sessions. It is important that you understand how the organization works and are familiar with equipment and medical procedures. 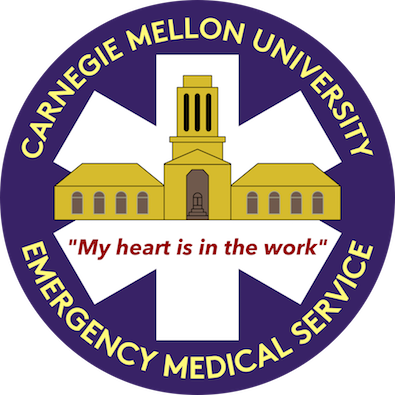 Email info@cmuems.org with questions regarding training for new members. After training, you'll be ready to go on duty.